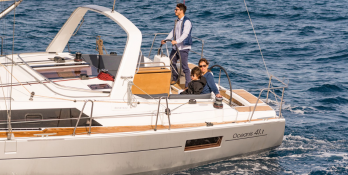 The Oceanis 41.1 is a superb sailboat built by Beneteau at the same time comfortable and with good stability at sea. Without any worries, it will allow you to face the famous trade winds crossing the Cyclades. 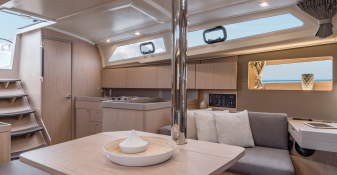 Located in Athens Lavrion, Greece, this Oceanis 41.1 (3 double cabins), available for bareboat, built in 2017 by Beneteau, is capable of hosting up to 8 passengers. 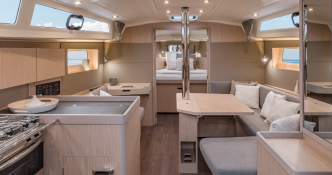 Further more, and for a complete bareboat charter journey, Oceanis 41.1 comes with bow thruster, electronic on board and equipped galley. 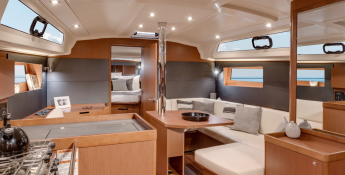 This sailing yacht is available for bareboat charter with a base price of 2 680 € (approximatly 3 022 $).